Have you ever thought of the moon cycle as an awesome guide to your self-care? 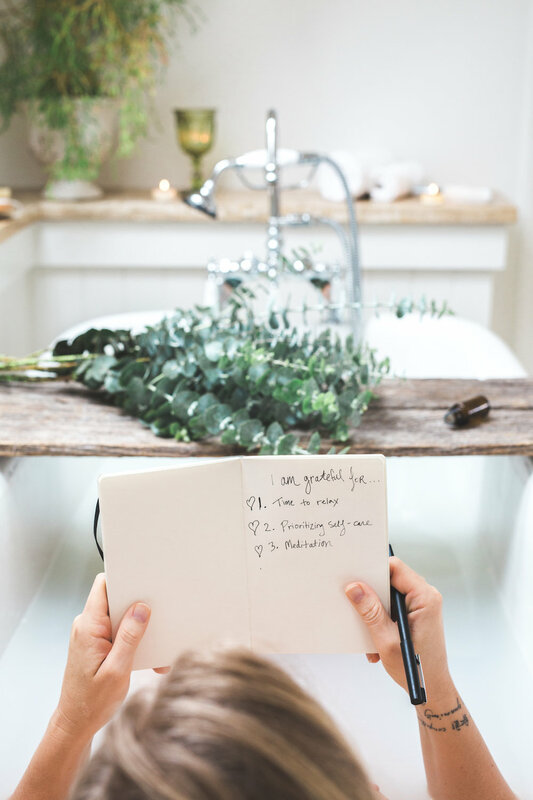 Tapping into the intelligence of cyclical living is my favourite sustainable way to nurture self-care, and this monthly membership is going to make it yours too. What is the Breathe, move, connect monthly membership all about? A set theme with guidebook. Each guidebook as an accountability tracker, reflective evaluation section and a cycle calendar complete with the weekly material dates, suggested lifestyle tips and bonus practices. Second practice is more energetic for full moon phase. Third practice is the most restorative and resting to complete the cycle. You are sent weekly emails to prompt you for the material focused on each week. The videos are kept to under 20 minutes to honour time sustainability. The BMC monthly membership is your ticket to creating sustainable momentum in nourishing your well-being so you can enjoy a deeper self-connection. Who doesn't want to feel more harmony in their lives?! Taking the time to honour the natural energy peaks and eases of the moon cycle will help you learn how to listen to your body/self and slow down, or speed up, when appropriate, rather than pushing through to 'get it all' in our 24/7 society. You will be putting into practice 'the little things' that create BIG changes in your life. Not to mention allow yourself to embody what it means to Breathe, Move and Connect your way to a wellness lifestyle. You can expect an email to orientate you to the membership and one weekly to prompt you to enjoy the practice. The membership itself is self-guided. You can scroll through the material or use filters to find what you need. Each cycle guidebook will be just that, a very helpful guide. Moon Trackers, **inspired by Ezzie Spencer and her book Lunar Abundance. Created by SimplyBreatheNow. A welcome / orientation video with explanation of core content. 8 x mindful movement practices from my mindful movement challenge (5-10 minutes each). Try it out! You have 1 free day to explore and see if it resonates with you. You can also scroll down to the bottom of the sign up page and check out the welcome video which explains it all. Can you explain what you mean by cycles? Life is made of cycles; menstrual cycle, moon cycle, seasonal cycle, daily cycles, etc. These cycles have natural periods of higher energy, as well as, of rest built into them. When we follow the wisdom of a cycle, we work smarter, feel more connected and reap more quality goals. I'm not very good at yoga or pilates, can I still do the movement practices? Yes! I like to make the practices accessible to all levels. I reach out to everyone who joins to ask about their needs so I have a sense of what types of modifications I should include. How much time do I need to participate? The core monthly content is a maximum of 20 minutes in length (usually kept to 15 min or less). The lifestyle tips and other suggested practices are all optional. You can do it as few or as many times as you like. The point is to integrate it into your life so I like to keep it timely and easy to manage. Although the content comes weekly, you can decide to digest the content as you wish. There are no wrong ways! *Bonus content may be longer at times depending in what it is. At the moment, yes. Though this may change. You can always access the material created to jump into where we are in the cycle, or simply allow yourself to enjoy the bonus material until the next cycle begins. We begin each cycle theme around the new moon. Of course. Your membership is set to renew automatically each month after you join. You can cancel the renewal at anytime. How do I access the bonuses? They are located directly in the monthly membership. You can use the category filters to find them. Your guide is on it’s way to your inbox. Be sure to confirm your subscription so you make it all the way. Just in case you can’t wait, you can also download your sustainable self-care guide here. I look forward to checking in with you to see how it helps!